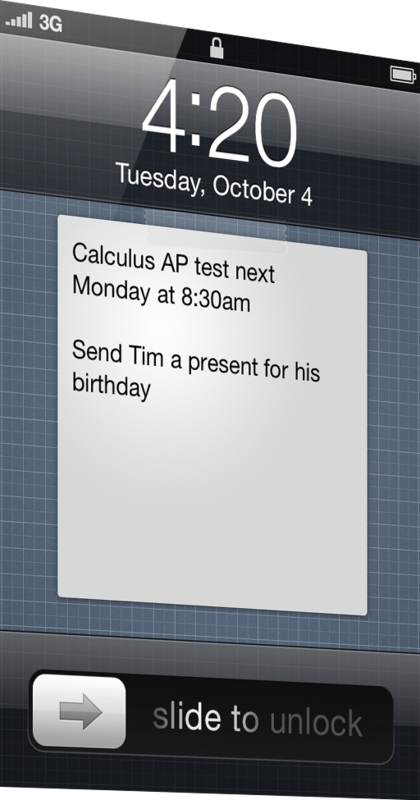 NoteNow lets you quickly write notes or reminders for yourself. As soon as you open the app, the keyboard will pop up so you can start typing right away. 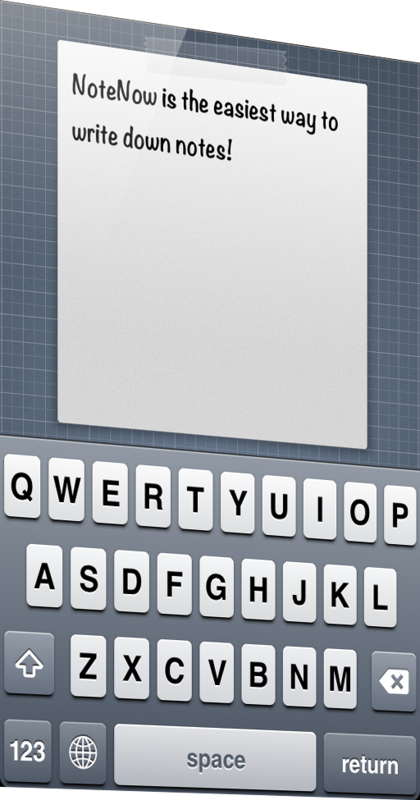 Once you are done typing, just tap the top of the screen or swipe the note down to hide the keyboard. Then if you tap the bottom of the screen, you will take a screenshot of your note and you can then set it as a wallpaper from the Settings app, that way you will never forget what you need to remember, because the note will be right in your lock screen. You can have as many notes as you need to, just swipe the note to the left to make a new note, and then you can swipe to the right to go back to your other notes. If you want to change the font size, background or note design, swipe the note down and the settings will show up. If you have any suggestions or have any questions about NoteNow at all, please feel free to send me an email! I'll be very happy to help you. 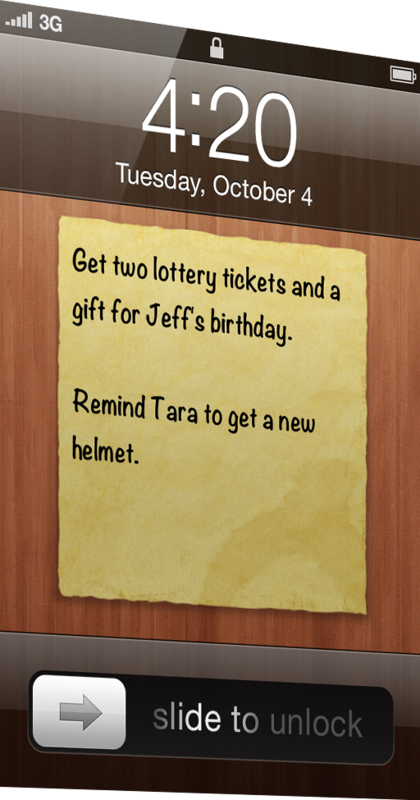 Unfortunately, due to restrictions from Apple, it is not possible to set the note as a wallpaper directly from NoteNow. Instead, it is needed to do so from either the Settings or the Photos app.